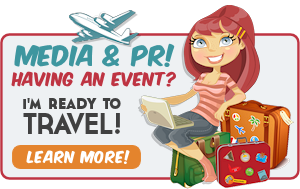 Home » Travel & Events » Travel & Family Fun » California » Ring in the New Year with Knott’s Berry Farm + Giveaway!!! 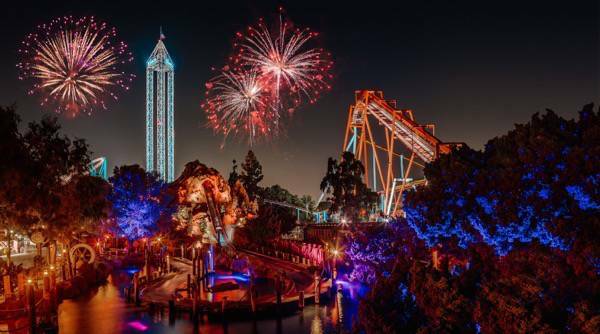 Ring in the New Year with Knott’s Berry Farm + Giveaway!!! Happy New Year’s! Ok, so it’s almost time to say Happy New Year’s! What are you planning on doing this New Year’s Eve? Why not ring in the New Year with your family and friends at Knott’s Berry Farm? We are excited to be taking our six kids to Knott’s Berry Farm for the New Year’s Eve Celebration. We’ve never done anything like it before, so I’m sure we’ll have a blast! Put on your party hats and get ready to ring in the New Year at Knott’s family-friendly New Year’s Eve event that offers something for everyone! Knott’s is a fun and safe option for families who want to ring in the New Year together. Extended park hours, live entertainment, and a fireworks display are all included in the price of regular park admission! Pretty dang cool, right? Plus, if you have a 2015 Season Pass, the value is even better! Each 2015 Season Pass includes one FREE visit in 2014, which can be used on New Year’s Eve. Be sure to follow Knott’s Berry Farm on Twitter, Facebook and Instagram for more holiday fun! We’ll be posting pictures from our visit as well so stay tuned! Samples and prizing were provided by the sponsor. All opinions are mine. How exciting! I’m going there when I take a trip to California in February. I might even stop by Independence Hall if its open. We were actually going to stop at Knots Berry Farm a couple of years ago. What a fantastic NYE for families who want to party together. I’ve never been to Knots Berry Farm but it looks like a wonderful place to visit. It seems like it will be a fantastic New Year’s Eve party. I can’t believe the year is already coming to an end! I can hardly wait for the new year. This event sounds like so much fun! The fire works look so beautiful, I haven’t sat back and watched some in so many years. I would love to go to Knotts Berry Farm! I hope you guys have a great trip! How I would love to travel there! I have heard it is SUCH a good time. It’s on my list for sure. I’ve never been there before! It definitely is on my bucket list! I haven’t been in years. Sounds like it is time to go again.